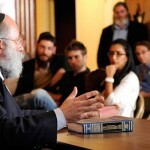 8:00pm: Why Are Baalei Teshuva Mistreated? 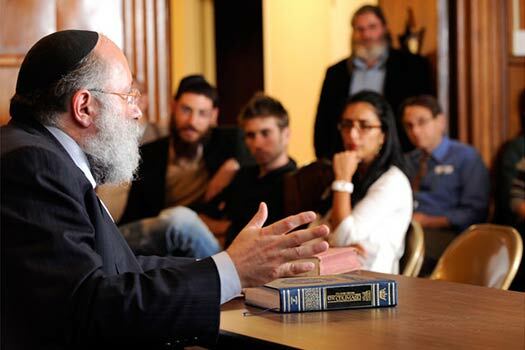 This week’s edition of MyLife: Chassidus Applied with Rabbi Simon Jacobson, Episode 180, will air tonight, Sunday, here on CrownHeights.info, beginning at 8:00pm. This week Rabbi Jacobson will address the topics: I’m Burned Out: What Can I Do to Experience an Inspiring Rosh Hashana? How to React to the Gender Identity Crisis? Why Are We Afraid of an Ayin Hora During Pregnancy? Why Are Baalei Teshuva Mistreated? MyLife MP3s are available to download from the Meaningful Life Center Shop. Become a free member today and receive unlimited Mylife MP3 downloads. Why are baalei teshuva mistreated and what can we do about it? Chassidus Question: How can Hashem’s rule as king pre-existence? MyLife Essays: “In Pursuit of the Pathway” by Gerald Rosenberg; “The Congruent Life;” “Overcoming Perfection” by Rivka Elkaim. These and other essays can be read online at meaningfullife.com/essays. 8:00pm: How To Trust My Husband After He Has Fallen? 8:00pm: Are Marijuana and Chassidus Compatible? I have friends who are ba’ale Teshuvah; some who daven in the same Shul as me, and I’ve never seen them being mistreated. On the contrary. Specifically, why is it that just about every one of my chaveirim from my yeshiva days ~25 years ago is divorced and unhappy? Every. Single. One!!! All of whom were matched by individuals in the “system;” CH and elsewhere, Lubavitch, yeshivish and “stam” chassidish. There is clearly something very wrong with how the BT cohort is being supported by the wider frum community with this rate of failure. Beyond that, there needs to be some serious accountability for this given the huge number of lives being wrecked. Why is that every time BT issue is mentioned by FFBs they bring up their “weird” ways and lack of tznius / knowledge? BTs is a problem for you, Crown Heights? I mean seriously? There are some fresh BTs who are like that, obviously, but what about the vast majority who live in CH for decades and are exemplary in their ways in every respect? Even when esteemed Rabbi defends BTs he does it patronizingly, like, OK, they are weird, but we have to love them anyway. What the heck, excuse me? What about all the FFBs? Are they example of tznius / knowledge?